Reverse mortgage (RM), an obvious product for India’s aging and senior citizen population, which is often asset-rich and cash poor, needs to be made more viable by improving product design and structure. This includes following international practices, where the government bears part of the risk (easily covered through an insurance product), as a social security initiative and also puts in place a strong regulatory mechanism including protection to borrowers from unscrupulous lenders. These are some of the key findings of a "Report on Reverse Mortgage", by Moneylife Foundation, which was released by Hardeep Singh Puri, Union minister of state for housing and urban affairs (independent charge) on Saturday. 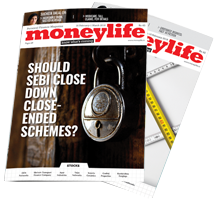 The study was released at a function to mark Moneylife Foundation's 9th Anniversary at the Bombay Stock Exchange (BSE) Convention Centre. "Due to poor financial literacy and extremely high property prices in India (relative to the income levels), millions of savers are likely to retire with a large chunk of their savings locked up in the apartments that they live in. They may not be poor in terms of net worth, but would not have the cash required to meet the rising cost of retirement living. In other words, they would be asset rich but cash poor. This is where reverse mortgage is useful," the study says. The research was supported by Housing Development Finance Corp (HDFC). Two bankers, Shrinivas Marathe and Pradeep Bhave, did the research for the Report. A reverse mortgage is a type of home loan for older homeowners that requires no monthly mortgage payments but gives them a monthly payment instead. The Report includes the demand and supply scenario, analysis of the currently available reverse mortgage products, analysis of the present regulatory framework, misconceptions about the scheme and incentives required to make reverse mortgage a popular product for both customers and banks, and how reverse mortgage schemes can be made affordable and popular among borrowers and lenders. It is difficult to evaluate the reliability and effectiveness of all the schemes by various lenders as these have been in existence only for the past 10 years or so. None of the loans under the schemes have come to a stage of ensuing security as yet. Also, the response and behaviour of the legal heirs is not tested to get an idea of the extent to which repayment in this manner would be acceptable to them. In most cases, however, where the loan-to-value (LTV) is less than 100%, it can be safely assumed that the heirs would be more than glad to settle the loan if they are financially sound. Whereas the risk to the lenders of the loan amounts exceeding the value of security (LTV in excess of 100%) reduces with a drop in interest rates, the borrowers benefit with higher annuity payments. Whether it is China, UK or India, the psychology of the seniors remains the same: 'leaving legacy to the next generation'. This thinking is preventing this section of the society, susceptible to financial woes, from exploring the power of their hard-earned asset, their HOME, from supplementing their income in case of need. The Report suggested some new designs of reverse mortgage product suitable for Indian conditions. It says, "The negative emotional response of borrowers to reverse mortgage is not India centric. Anywhere in the world, where reverse mortgage has not gathered momentum, this phenomenon is held responsible for its failure of the scheme. The supply side i.e. the lenders also need to shed their overcautious approach and shift their strategies to make reverse mortgage work." According to the Report, a little more acceptability of the reverse mortgage loan scheme can be brought about with implementation some suggested schemes like discounted monthly payments rising yearly or with other suitable periodicity, providing a line of credit to borrowers, reduced payout to the surviving borrowers, share in future gains, providing reverse mortgage in tranches, periodical review of payouts with property valuation, insurance for property value, interest subvention by the government, funding by the government for payouts or part of the loan and raising the eligibility criteria for age of the borrower. "The government actually should be actively involved in reverse mortgage product and needs to do a lot in this regard from the social security angle for senior citizens. However, unfortunately, except for a couple of amendments in the Income-tax law, the government seriously lacks on legislative front," the Report concludes. Shri. Hardeep Puri came as a very honest & an excellent minister who would take care of basic problems a common man faces. Thank you for the invite. It is a commendable effort to make a research on Reverse Mortgage and to publish the Report, Congrats. Many MSME projects have been financed without consideration of the total cost of the projects, including machinery installation costs, rates and taxes including goods and services tax (GST), loading and unloading charges, transit insurance costs and other connected expenses. Trial run for commercial production that should be part of pre-operative costs is also not included in the total project cost. In addition, interest during the construction period is also debited to the working capital account opened simultaneously with the term loan account while such working capital account should be opened only from the date of commercial operations. Consequently, even by the time the unit starts commercial production, the unit becomes sick. Then there are issues of handling sticky loans. Moratorium should start from the date of release of last instalment whereas most banks are starting from the date of first instalment. Sometimes, project implementation delays like delay in release of successive term loan instalments, receipt of imported machinery and its erection, would result in time overruns and cost overruns besides repayment starting well before commercial production. This practice leads to inadequate financing of the enterprise and this is another contributory factor for sickness of the enterprise. Master directions by the Reserve Bank of India (RBI) dated 17 March 2016 on revival and restructuring suggest that each bank appoint zonal committee to consider revival. Corrective action was to be initiated for special mention accounts – SMA within certain timeframe like SMA-0 to be provided corrective action. SMA-1 to go for restructuring and SMA-2 for recovery. Zonal committees were not formed; even where formed, there is no record as to how many have been revived following the directives. Though RBI empowered committee meets every quarter, no reliable data on the revival of manufacturing micro and small enterprises (MSEs) were available. RBI’s instructions on manufacturing micro and small enterprise revival seem glossy. Yielding to the pressure of MSME Ministry, the RBI on 1 January 2019, or after a lapse of two years and over since the master directions, issued new directions for restructuring. This circular clearly says that the standard assets SMA-0,1,2 need to be restructured and the exercise should be completed by March 2020 for loans up to Rs25 crore. There is an overdrive among banks now to restructure the SMA accounts. This is certainly a very efficient preventive tool for NPAs (non-performing assets) if effectively implemented. Banks, invariably, would like to avoid provisioning and, therefore, categorisation of some assets as NPAs. Some banks even try to provide as long a rope as possible for the unit to pay up the arrears of instalment and/or interest. But what is intriguing is the units closed for six months due to failure to pay up electricity dues remain active in banks’ books of accounts. Either banks did not visit these units, or they prefer not to declare them as NPAs lest they should show up in provisions. If a unit continues not to produce for six months, it will end up either in closure or sale. A good number of them have the potential to revive unless they willfully defaulted. During the first three months of such non-payment of electricity dues, proper diagnostics would help the revival. 1. All non-performing MSMEs in manufacturing sector up to Rs1 crore due for consideration for revival even though the banker may take a different view, should be referred to an external accredited institution (EAI). Such accreditation could be given to an independent organisation like the industrial health clinic wherever set up or to a committee set up by the state government involving bank representatives that should include MSME-DI. The committee should also hear the entrepreneur. 2. Above Rs1 crore but up to Rs25 crore, such consideration for revival shall be referred to a committee of the bank at the appropriate level that should include ‘MSME expert’ and a state government representative, in order that interests of sovereign dues is taken due notice of and equitable attention is devoted for their recovery as part of revival package. The committee before taking any decision should have the view point of the entrepreneur and record it in the minutes for considering or otherwise duly giving valid reasons thereof. 3. The committee shall consider the ‘revival policy’ of the state government wherever it is in place. a. Freezing the status of the classification of asset on the date of reference to the external institution or the committee of the bank for one year or till the date of rejection. f. Additional funding where required, should be charged at MCLR by the involved agencies. 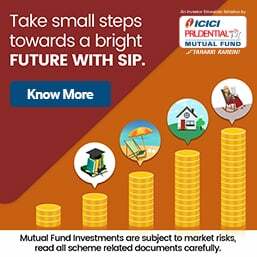 Such guidelines should be applicable to all the banks, non-banking finance companies (NBFCs), Small Industries Development Bank of India (SIDBI) and state financial corporations (SFCs).